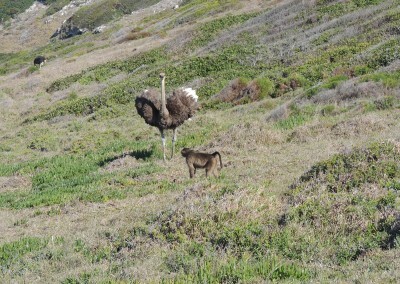 Keen to hike Cape Point but not sure you want to walk all day? 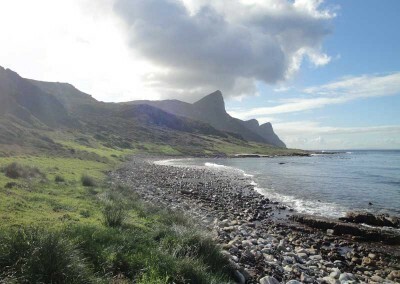 The Cape of Good Hope Nature Reserve (in which Cape Point sits at the bottom) is home to a pair of superb half-day hikes – one on the Atlantic coast, the other on the Indian Ocean side. 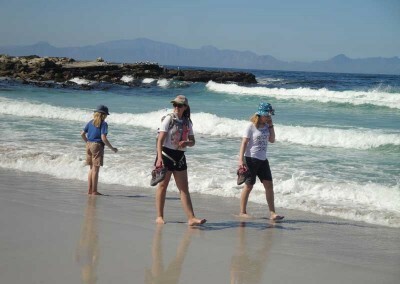 Cape Point’s Atlantic coast half-day hike is nearly completely flat. It takes in wild beaches strewn with shipwrecks and is home to teeming rock pools as well as swathes of dazzling flowers. 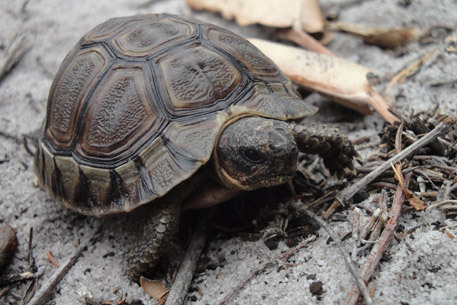 The only footprints you’ll see on these beaches are yours – plus those of animals and birds. 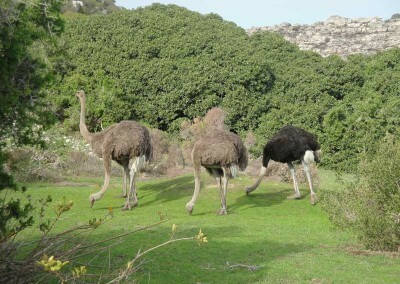 This is a great part of the reserve for wildlife and hikers often share the trail with baboons, tortoises and seabirds. Over on the Indian Ocean coast, the half-day Cape Point trail meanders along a mountain path, rewarding hikers with sensational views of False Bay and surrounding mountain ranges. The path then drops onto the coast and follows the ocean’s edge for a while, dipping down onto squeaky-sand beaches. 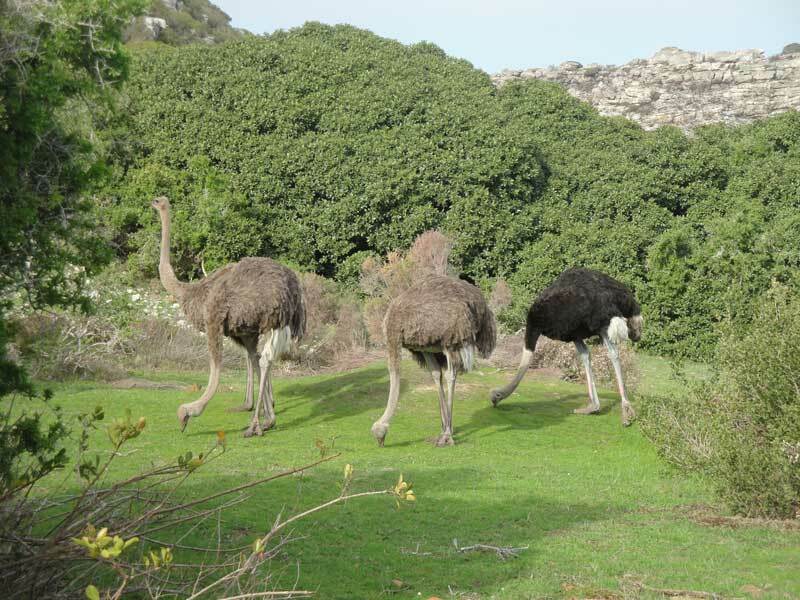 It’s good for animals on this side of the coast too; baboons and antelope are often seen on the coastal grasslands and from June to October, you stand a great chance of seeing whales. 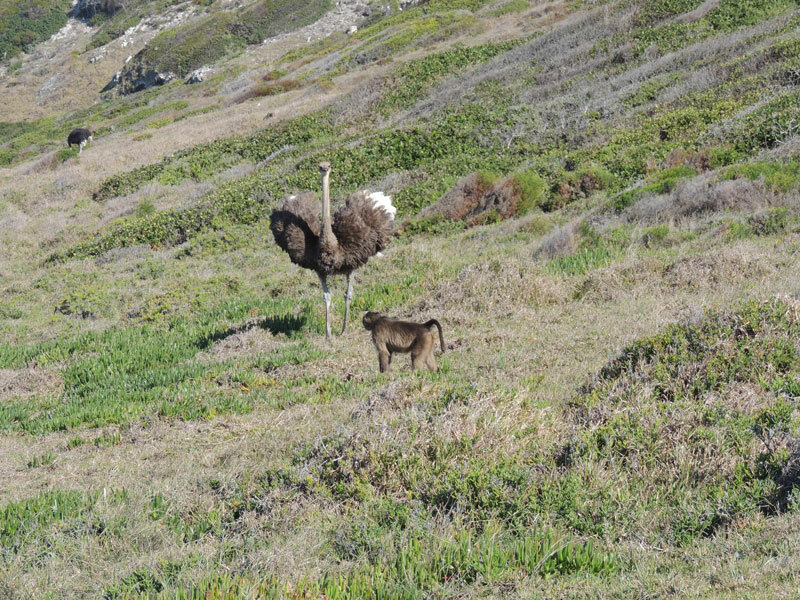 It’s easy hiking at Cape Point. The Atlantic coast half-day trail takes between three and four hours and is suitable for anyone – it’s especially good for families with children. 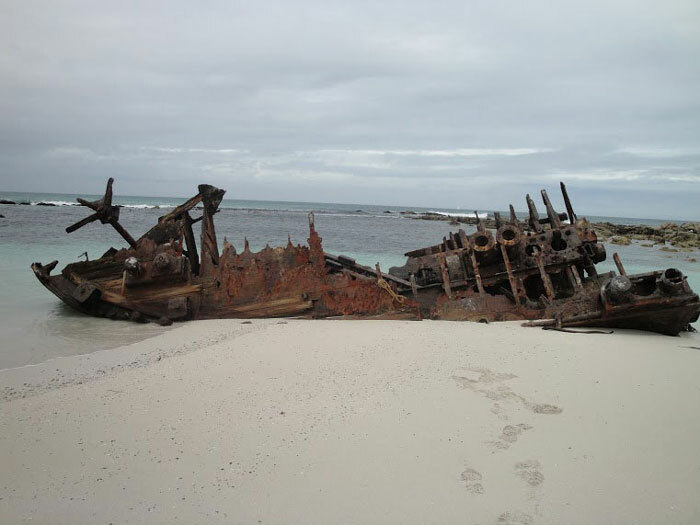 The Indian Ocean half-day trail is slightly more demanding and takes between four and five hours, but is still very do-able and perfect for seasoned hikers as well as families. And since half-day Cape Point hikes can be enjoyed in the morning or afternoon, it’s also easy to make your hike part of a bigger day’s experience. 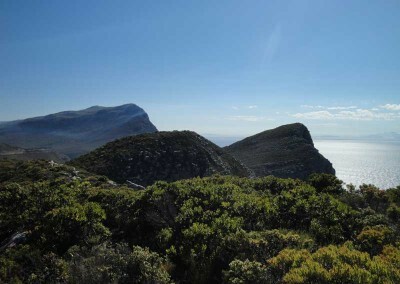 The Cape of Good Hope Nature Reserve is a 15-minute drive from Simons Town. 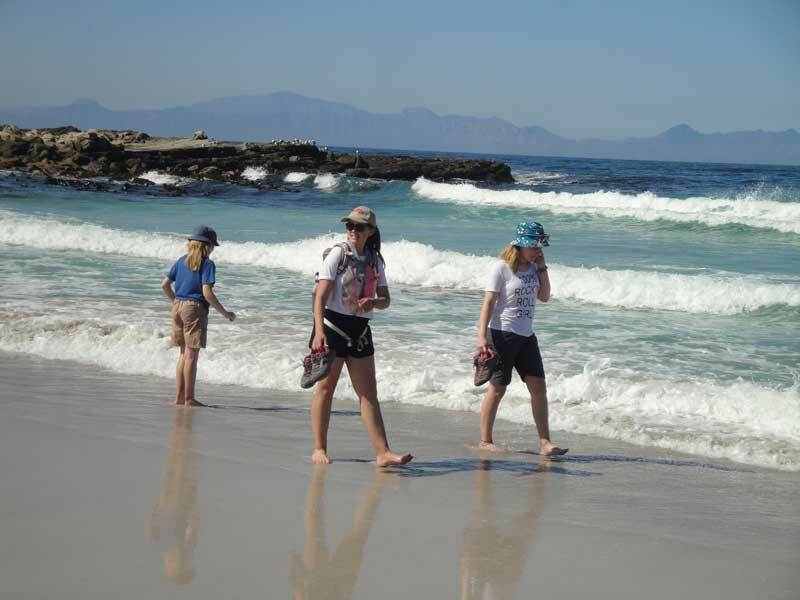 This means that both half-day Cape Point hikes combine easily with a visit to Boulders Beach Penguin Colony or a half-day shark-cage diving tour. It’s also an ideal solution for visitors to Cape Town who want to keep half their day free for shopping and sight-seeing, or those who just fancy a late start to the day! 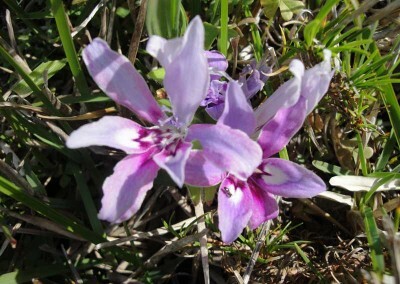 Book your half-day Cape Point hike with The Fynbos Guy. 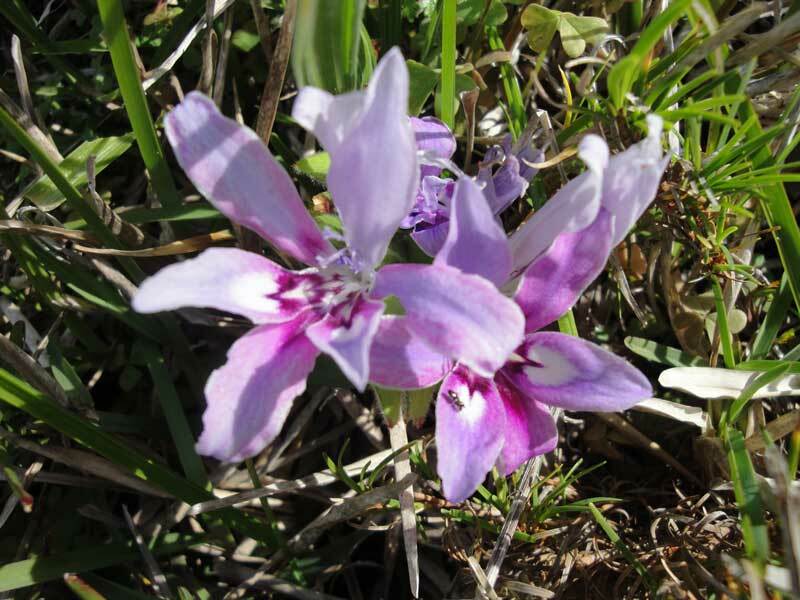 You’ll learn about the area’s geology, fauna and flora plus its history, both ancient and modern. A cup of tea or fresh coffee plus a croissant is part of the deal, and I can help with transport arrangements too. Afternoon summer hikes end with a cold drink! And if you want to take the hassle out of providing lunch then I provide healthy and tasty picnic lunches on request.